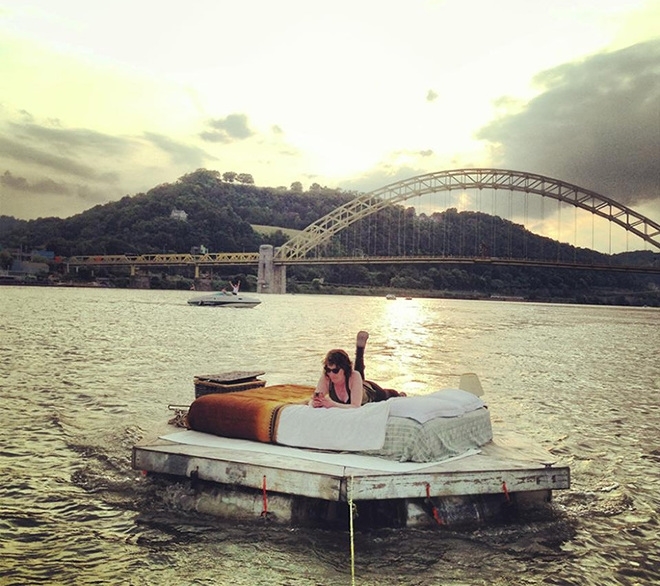 The Drift is a platform for creative projects that explore the rivers and waterfronts of Pittsburgh, PA. The goal is to work with resident artists and collaborative groups to create temporary public art projects on the rivers and host events that are free and open to the public. The Drift has been operating since December 2011 with support from The Sprout Fund, The Awesome Foundation, The Children’s Museum of Pittsburgh, The Allegheny Land Trust, as well as support from the School of Art and the Frank-Ratchye STUDIO for Creative Inquiry at Carnegie Mellon University. 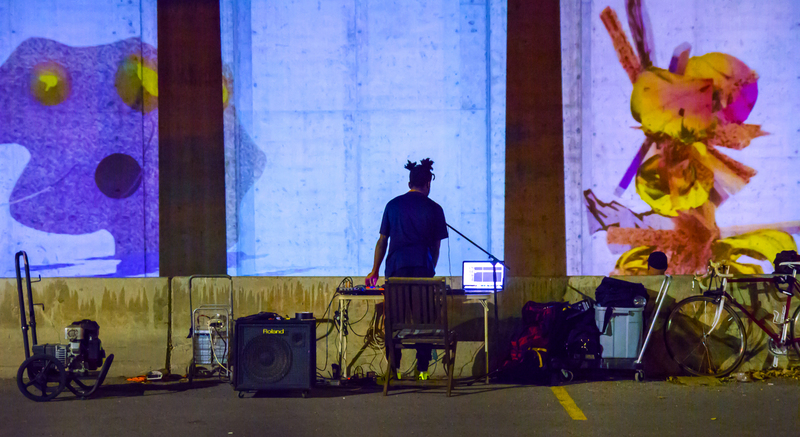 Over the past four years, the Drift has produced more than 20 temporary projects and events, supporting over 50 artists, performers, filmmakers, and collaborative groups throughout Pittsburgh and North America. The Drift’s projects have reached a broad audience through partnerships with the Allegheny Land Trust, Hatch Arts Collective, The Three Rivers Arts Festival, and The Children’s Museum of Pittsburgh. In addition, VIA Music and New Media Festival and programs have involved floating sculptural spectacles, mobile video screenings, immersive and interactive installations, performances and guided tours. Throughout 2014-2015, The Drift will present site-specific projects on the rivers by local and internationally renown artists and collaborative groups will be commissioned. The calendar will also include a new event series which will debut H30, a floating audio/visual installation and projection series, Hydrological Survey, an experimental lecture series on the water, and Synchronized Swim, a platform for explorations in movement, performance and dance on the rivers. A pilot event was presented by the Drift in partnership with the Afronaut(a) Film Festival in September 2014. The Drift’s first selected artist-in-residence is Michael Jones McKean, who is currently planning a project that could span areas of the Allegheny River, Point State Park and Mount Washington. While this project will be a new commission to debut in Pittsburgh, it builds upon what McKean accomplished in 2012 at the Bemis Center for Contemporary Art in Omaha, Nebraska. For this project, titled certain principles of light and shapes between forms, McKean created a system that produced a rainbow in the sky above the 100,000 sq ft, 5-story building occupied by the Bemis Center.